Three sources with knowledge of the situation say top White House aide Jared Kushner was the "very senior" official who spoke with former National Security Adviser Michael Flynn on Dec. 22 about the pending U.N. Security Council debate vote on Israeli settlements, CBS News' Major Garrett reports. Three sources with knowledge of the situation tell CBS News that K.T. McFarland was the "senior official" on the Presidential Transition Team (PTT) Flynn spoke to in Mar-a-Lago on Dec. 29 about Russia sanctions and potential Russian reaction. These contacts are potentially meaningful if they can be linked to behavior that is criminal or conspiratorial. But no evidence has yet surfaced to indicate either – criminality or conspiracy. Flynn pleaded guilty to one count of lying to the FBI on Friday, and CBS News has confirmed U.S. law enforcement officials have long suspected Flynn did not engage the Russian ambassador without being directed to do so. 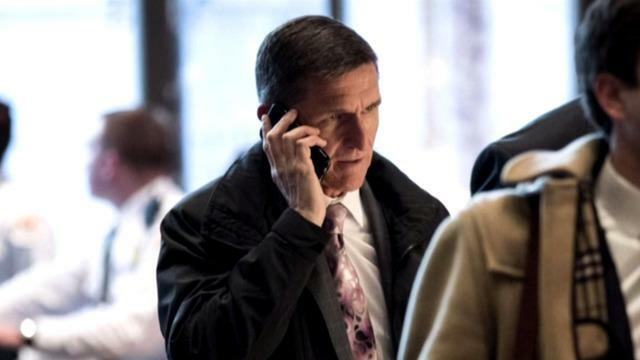 The court documents from prosecutors revealed Friday also indicate multiple officials of the Trump presidential transition team were aware of Flynn's communication with the Russian ambassador, as well as the topics discussed. Flynn made the guilty plea in federal court in Washington, D.C. on Friday, admitting to lying to the FBI as it investigated Russian interference in the 2016 presidential election. Flynn turned himself into the FBI early Friday morning, and was processed and charged. Flynn's misleading of the FBI took place while Donald Trump was president-elect. A document filed with the court by the special counsel says that Flynn "did willfully and knowingly make materially false, fictitious and fraudulent statements and representations" to the FBI regarding his interaction with then-Russian Envoy Sergey Kislyak. In early December, after the election, he Kushner met with Kislyak at Trump Tower. On Dec. 29, Flynn called Kislyak five times, and the two spoke about sanctions against Russia that had just been imposed by President Obama over Russia's meddling in the U.S. 2016 elections. According to court documents released Friday, a "very senior member" of the Trump transition team in December 2016 directed Flynn to contact Russia and officials from other foreign governments to determine where they stood on an Israeli settlement U.N. resolution, influence those governments and delay the vote or defeat the resolution. "On or about December 22, 2016, a very senior member of the Presidential Transition Team directed FLYNN to contact officials from foreign governments, including Russia, to learn where each government stood on the resolution and to influence those governments to delay the vote or defeat the resolution," the statement of offense against Flynn reads. Kushner directing Flynn to talk to the Russians about a Security Council matter is not necessarily criminal or conspiratorial based on what has been divulged by the Special Counsel office. It was a matter of interest to the Obama Administration and the in-coming administration and dealt with Israel, a long-standing US ally. Similarly, a conversation between McFarland and Flynn about possible Russian reaction to new sanctions is not – by itself – criminal or conspiratorial. It is a question any incoming administration would want to pursue and any incoming administration might want to inquire about a sanctions matter escalating very soon after assuming office. Ty Cobb, White House counsel, distanced the White House from Flynn in a statement. "Today, Michael Flynn, a former national security advisor at the White House for 25 days during the Trump administration, and a former Obama administration official, entered a guilty plea to a single count of making a false statement to the FBI," Cobb said in a statement.